(POOLESVILLE, MARYLAND) – October 2017 – When the letter came, it was during a busy week, and Eric Spates tossed it on his desk with the rest of his mail, thinking he’d get to it later. When he opened the envelope several days later, he realized he had just two days before a state auditor would arrive to look over his Nutrient Management Plan, soil test results and other supporting documentation. Since 2000, Maryland farmers like Spates are legally required to file a nutrient management plan with the state. The plans are designed to determine how much fertilizer — whether it comes from a store-bought bag, manure or other sources — may be safely applied to fields to achieve reasonable yields and prevent excess nutrients from impacting waterways. Spates’ Stoney Castle Farm is not far from the Potomac River in Montgomery County. His 1,100 acres are part of about 1.3 million that are regulated under the Nutrient Management Program. According to the University of Maryland, the idea behind the plan is that there should be a balance between the amount of nutrients that are applied and the amount the crop should consume. The planning process starts with looking at the history of specific farm fields in terms of past crops, soil test results, nutrient applications and tillage practices, all of which can be indicators of the fertility of the soil and the need for additional fertilizers. 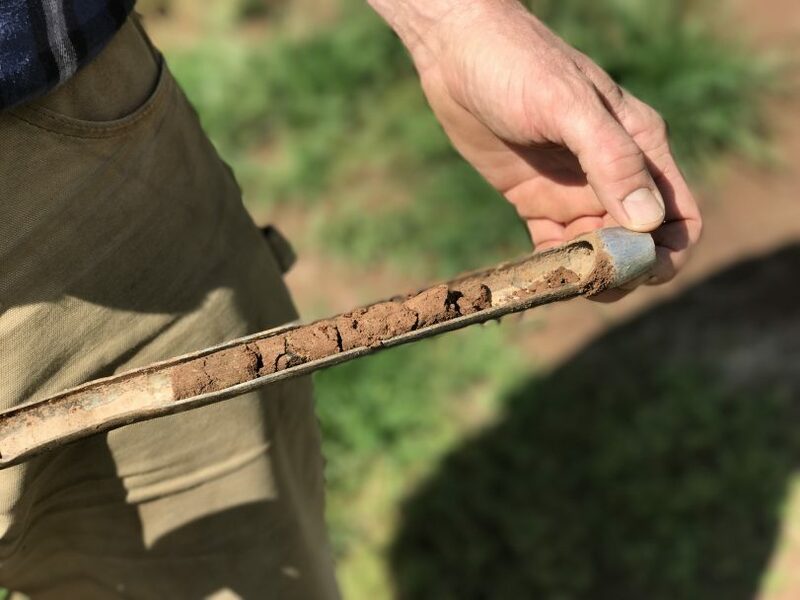 The farmer — sometimes working with an advisor — will sample and have analyzed the soil in his or her fields every three years to get a handle on those nutrients. The farmer then estimates residual nitrogen from previous crops and organic nutrient sources, such as cover crops, both of which can leave nitrogen — a key plant nutrient — in the soil. Some farmers also have to calculate phosphorus applications using the University of Maryland Phosphorus Management Tool. These activities provide a baseline. 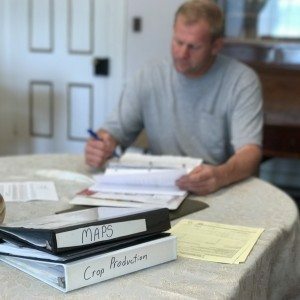 The farmer then uses records on the histories of his or her fields to determine a “reasonable” yield for the crop they are planning to plant. Then, they are able to calculate the amount of fertilizer needed to reach that yield, and write a one- or three-year plan. An annual report is due by March 1 of each year. “Fields can differ greatly from one side of a farm to another,” Spates says. “Characteristics such as soil type, drainage, exposure and the presence of weed seeds or disease pathogens can affect yield estimates, not to mention other factors, such as seed selection and weather. On my farm, I use a yield monitor to help me keep track of inputs and yield for each field. “When the nutrient management law went into effect, it didn’t actually change anything I did, except to add more paperwork and regulations to my job. I was already soil testing. 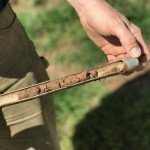 After going through the binders containing his farm’s maps, test results and plan in accordance with the Maryland Department of Agriculture’s guide to farming under nutrient management, the auditor reminded Spates to update his soil tests to keep his plan in compliance. Shortly afterward, he was in the fields with a soil probe, pulling samples to send to the lab. Hans Schmidt, Assistant Secretary of Resource Conservation at the Maryland Department of Agriculture, says the department conducts both targeted and random audits to monitor compliance with the law. “In Fiscal Year 2016, we audited 19 percent of the state’s 5,340 regulated farms. We have excellent compliance in general, with 97.5 percent of our farmers submitting annual reports on how they manage nutrients. 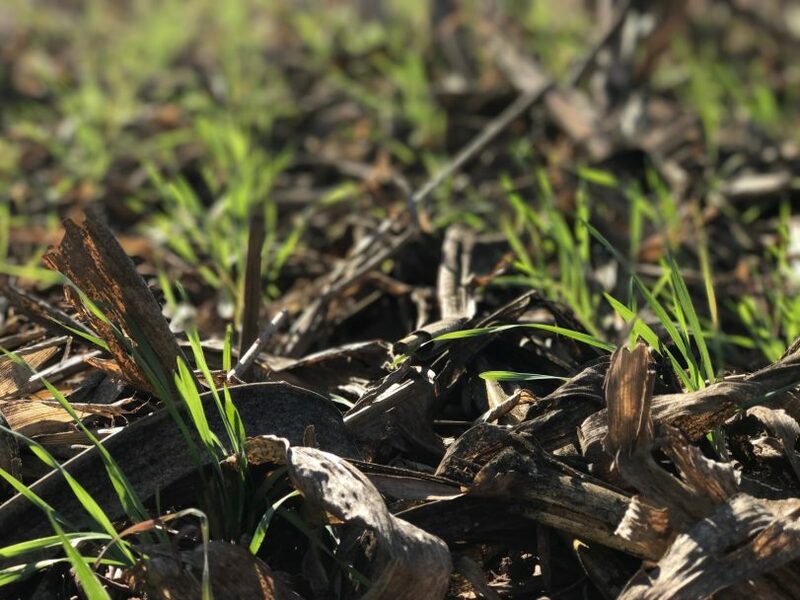 Next time: In the fields, a cover crop of rye blankets the soil surface and its roots mine for nutrients while Eric Spates looks at seeds for next year’s crop. What else will we find Maryland farmers doing during the winter? What do all of the herbicides used with gmo crops do to grasses in the bay? Hi Peter, thanks for your question. Maryland farmers follow the label when applying herbicides. The label is approved by the EPA for safe use. The biggest threats to Bay grasses are actually sediment and nutrients. Maryland farmers have greatly reduced their contributions of both. GMO crops that allow farmers to grow their crops using the “no-till” method contribute to the reductions in sediment!